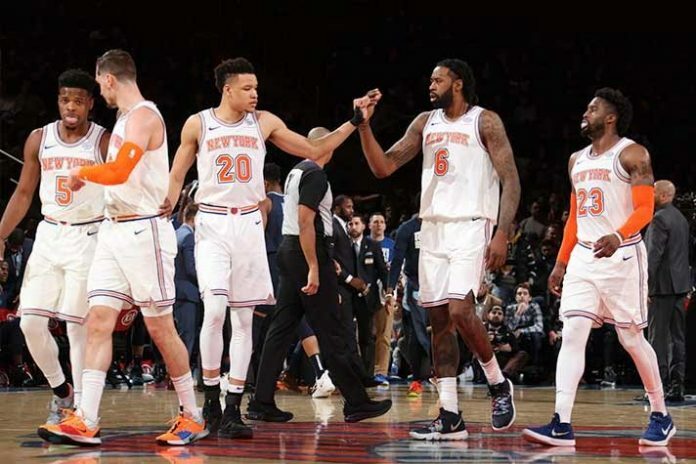 New York Knicks are rated the most valuable NBA team at $ 4 billion (₹28,999 crore) for 2019 by Forbes. The performance on court has had little impact on the National Basketball Association (NBA) team’s scores on the balance sheets. ‘The NBA Team Values 2019’, released by business magazine Forbes, is the most valuable in the league in spite of being the poorest match performers in the 30-team league. To put things in perspective, the Knicks will exceed the combine value of all the eight IPL teams. The Indian Premier League, richest in the cricket world, was valued at $6.3 billion (₹ 44,000 crore approx.) by Duff & Phelps last year when the major push came from Star India’s ₹ 16,347.5 crore media rights deal. According to the Forbes report, New York Knicks’ value has been up by 11% last year as the $1 billion renovation of Madison Square Garden, completed in 2013, has opened a series of new revenue streams. Also Read: Paris, Berlin likely next stops for NBA’s European expansion beyond London! Los Angeles Lakers, Golden State Warriors, Chicago Bulls and Boston Celtics follow the Knicks in the order of mention among the top five NBA teams in the Forbes evaluation. However, Utah Jazz ($101) top the table in terms of ‘Value Per Fan’. Cleveland Cavaliers ($93) and Oklahoma City Thunder ($88), come next in that list in the Forbes Report that evaluates the NBA teams on various parameters. Golden State Warriors with 367% gains are rated as the biggest five-year gainers, followed by Los Angeles Clippers (282%), Philadelphia 76rs (252%), Milwaukee Bucks (233%) and Toronto Raptors (222%). The report has also listed the top five teams in terms of debt percentage of their total value. Sacramento Kings (34%), Milwaukee Bucks (31%), Memphis Grizzlies (27%), Miami Heat (23%) and Golden State Warriors (23%). The Knicks, who feature a starting lineup with three new players acquired in the Kristaps Porzingis trade, lost at home Tuesday night for a franchise-record 15th straight game. They began Wednesday with a 10-43 record. Forbes says the Los Angeles Lakers remain in second place with a value of $3.7 billion, up 12%.